Filling out a perfect bracket is virtually impossible, but that shouldn't stop you from trying to predict which two teams will meet in the championship game of the ​2019 NCAA Tournament. Thankfully, the folks at ​FanDuel Sportsbook have you covered. There's a "Name The Finalists" prop bet that allows bettors to combine two teams that they think will meet in championship game, with 6-to-1 or better odds on all of the combinations. And the teams that are available are certainly telling. Interestingly, you can only bet on No. 1 or No. 2 seeds to meet in the final. Since 1985, a No. 1 seed has made the NCAA Tournament championship game 33 times, and a No. 2 seed has made it 13 times. This certainly tracks, as No. 1 seeds have ​statistically been the best bets to win the NCAA Tournament. Duke is the ​heavy favorite to win the tournament, and the Blue Devils are unsurprisingly included in each of the four matchups with the best odds. 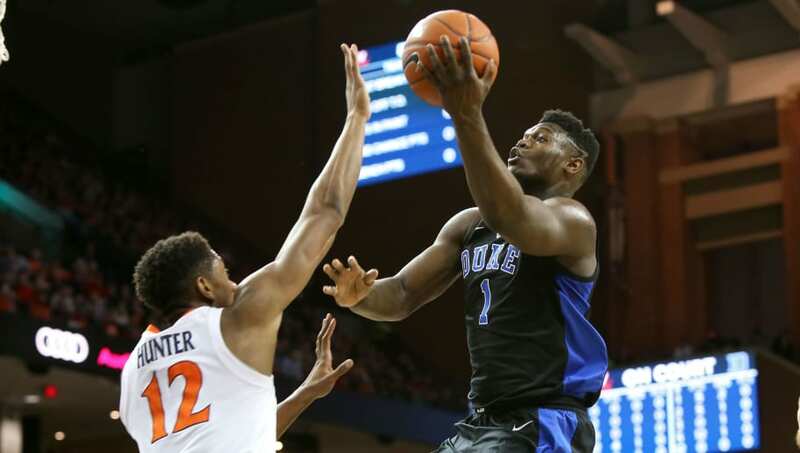 A potential championship matchup between Duke and the Virginia Cavaliers is the most likely scenario, according to ​FanDuel Sportsbook, with +600 odds. Duke versus North Carolina (+1000), Duke versus Kentucky (+1300) and Duke versus Tennessee (+1300) are the next options, with a Virginia versus Gonzaga finals matchup also coming in at +1300. It's the 2nd time 3 teams from a single conference are 1 seeds, joining the Big East in 2009. The only 1 seed not from the Big East that year won the tournament (North Carolina). The biggest potential payout would come in UNC played Michigan in the championship as there are +3500 odds available if that matchup comes to fruition. All in all, this prop bet reveals a lot about who bookmakers think will end up making the finals in this year's NCAA Tournament. The Blue Devils are certainly the favorites to win, but, remember, we call it March Madness for a reason.